Just like a traditional wooden train whistle only lighter and safer. 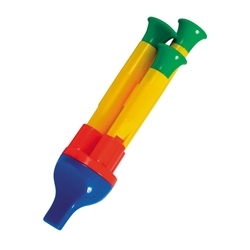 This multi-colored version is plastic and incredibly easy to play. Safe for ages +24 months.